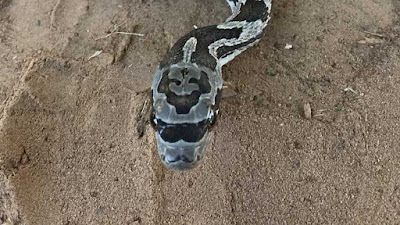 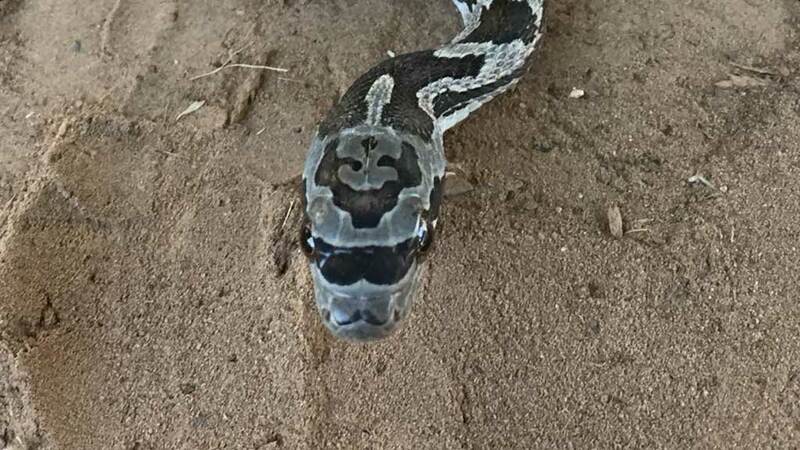 A snake spotted in north Texas appears to look like it's wearing a pair of sunglasses and sport a moustache. The pictures, which were given to the Texas Parks and Wildlife Department by Karlie Gray, were posted on the agency's Twitter account. 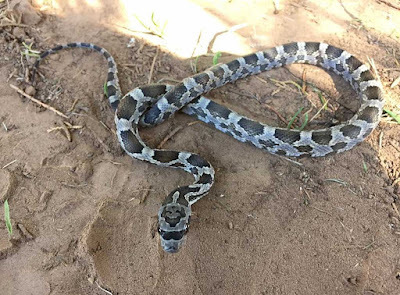 The rodent-eating reptile is also known as the black rat snake and pilot black snake.